Note:- This guide is only for Asus Zenfone 3 max (ZC520TL) MTK versions, please do not try this method on other Asus Zenfone 3 max device to Asus ZC520TL frp. Downlod Asus ZC520TL FRP File. 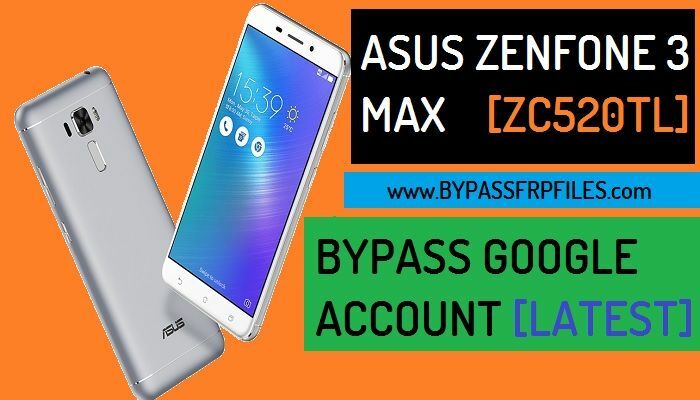 To Bypass successfully on your devices first you need to download Asus Zenfone 3 max FRP tool on your PC, We share here latest version of SP Flash tool that help you to Bypass FRP Asus Zenfone 3 max ZC520TL. Now here download the Asus ZC520TL FRP File, check below we upload all files separately download the right frp files according to your device chipsets version the try to Unlock FRP on your device. -Then extract the Asus ZC520TL USB Driver and install the USB driver on your PC. -After that, Now extract the Asus ZC520TL FRP Tool on your PC. -Then extract the Asus ZC520TL FRP files. -Now open the Asus ZC520TL FRP Tool folder. -Then there run the “SP Flash Tool“. -Now wait for open the “SP Flash Tool” on your PC. -After that, go to the “Download” tab on the SP Flash tool. -Then click on “Choose” button from “Scatter Loading File” tab and then give the path of the Scatter file (File should be on Asus ZC520TL FRP ) files folder. -Now you need to open the “MT6737T or MT6737M MTK Scatter.txt” file in default notepad. -All files are now successfully selected, now you to format the frp storage to Bypass FRP Asus Zenfone 3 max (ZC520TL) successfully. -After that, On the “SP Flash Tool” then click the “Start” button from there..
-Then power off your device and then Press & hold (Volume Down) key and connect your device to PC. -Once detected your device a green line will appear on the SP Flash tool. -Once the flashing finished, you will get a “Right exclamation mark” popup in SP Flash tool. -Great, you have successfully Bypass Google Account Asus Zenfone 3 max (Asus ZC520TL FRP). -Once your device Power On fully setup your device. Thanks for visiting us, Comment below if you face any problem With Bypass FRP Asus Zenfone 3 max ZC520TL| Bypass Asus XC520TL FRP, we will try to solve your problem as soon as possible.